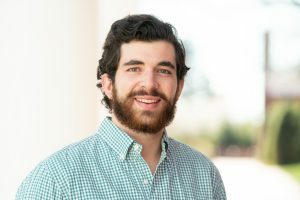 Shely Awarded Fulbright Grant to Colombia Jared Shely '18 will use the grant to continue his work teaching English to students in Latin America. Washington and Lee University senior Jared Shely has been awarded a Fulbright grant for an English teaching assistantship in Colombia. In 2012, as a high school student, Shely spent time in Honduras, and it was that experience that inspired him to apply for the Fulbright grant and continue his work teaching English to students in Latin America. With a double major in Spanish and history, and a minor in Latin American and Caribbean studies, Shely has devoted his time at W&L to immersing himself in the Latin-American culture. In addition, Shely has also taught English as a second language to fifth graders. “Jared has a demonstrated commitment to learning about Latin-American cultures and societies, and is very well poised to contribute meaningfully to cultural exchange during his time as a Fulbrighter in Colombia,” said Jonathan Eastwood, Laurent Boetsch Term Professor of Sociology and Fulbright Program adviser. While abroad, Shely also plans to volunteer as a tutor and mentor to secondary school students as they prepare for their next steps in life. “I want to assist [in any way I can] as those students prepare for the new opportunities that exist in a unified Colombia,” said Shely. As his time at W&L nears completion, Shely said he is left with two passions: education and Spanish.